Home » Health » What Burns Power in Medical Wearables? Reliability and safety have long been the focus of medical design. With the advent of wearables and portables, usability has become a key consideration as well. Factors like battery life, environmental hardening, and ease of use all impact the commercial viability of these new patient-centric designs. As with any mobile device, one of the best ways to create a user-friendly device is to minimize size and weight—and that makes power consumption a priority. After all, you can't build a svelte device around a bulky battery. Medical devices have unique power management requirements involving safety and operation of the device. Power management for critical functions must have flexibility to accommodate increased use or immediate power-on if patient vitals change in some way, and alerting or unexpected dosage is needed. Take the case of insulin pumps. Under normal circumstances, the pump can check blood sugar levels infrequently. But if blood sugar starts to rapidly drop or rise (e.g., if the patient is abnormally active or eats a sugary snack), monitoring needs to be more frequent. Less critical components like displays have more traditional power management requirements but still need flexibility. For example, in a normal scenario, a display may turn on only at the user's request, and stay on only briefly. But if the device detects a negative trend, the display may need to turn itself on and stay on until the situation is resolved. These varying components and power management profiles are driving new power management strategies that involve multiple policies for critical, semi-critical, and non-critical features. Therefore, it's important for the medical device power management features to be controllable on a component-by-component level. General purpose I/O (GPIO) and analog to digital converters (ADCs) for connecting to sensors that monitor blood sugar levels, heart rate, blood pressure, etc. The Intel® Quark™ microcontroller D2000 is a good example. 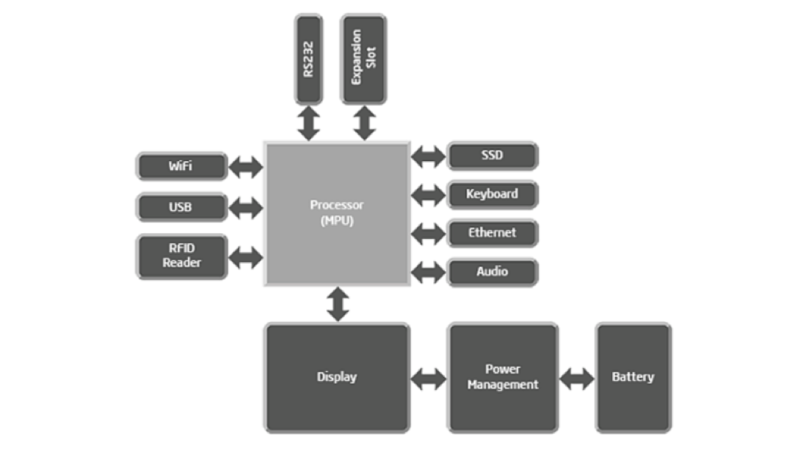 As illustrated in Figure 1, the chip offers extensive I/O integration and an array of features that might otherwise require additional components. For example, the processor incorporates an internal voltage regulator. Each subsystem in the SoC has its own power states. This enables the components used for critical functions to implement a different power management strategy than the components that are not critical. Of course, the processor is just one element of a device. To get a quick start on the full design, engineers can use boards like the Quark-2202 from SBS (Figure 2). 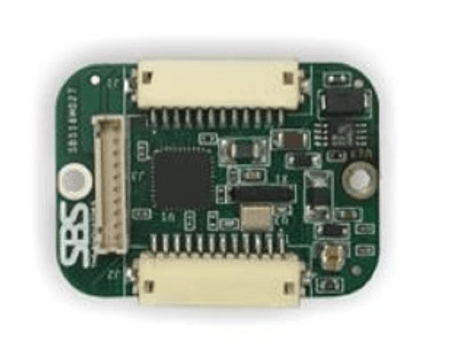 This tiny 25-by-35-mm board pairs the Intel Quark microcontroller D2000 with connector breakouts for serial communications capabilities using RS232/485, I2C, and SPI. It also features 32KB integrated flash and 8KB OTP memory. Medical devices that travel with the patient are at risk of being handled roughly and being exposed to extreme temperatures and moisture. The importance of these considerations can be seen in the design of the SBS-2202, which is highly ruggedized. The board is rated for an extended temperature range of -40C to +85C. Temperature monitoring and automatic over-temperature protection prevents potential device damage. 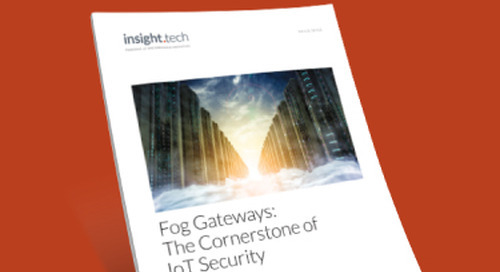 Medical IoT also requires data and device security. 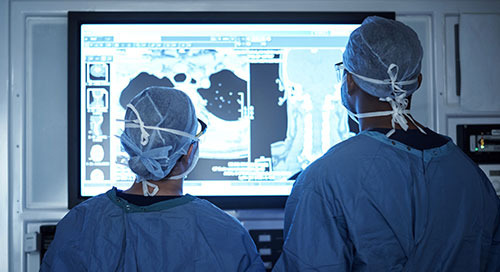 It's critical that medical devices be resistant to outside agent login and control that could compromise device security. 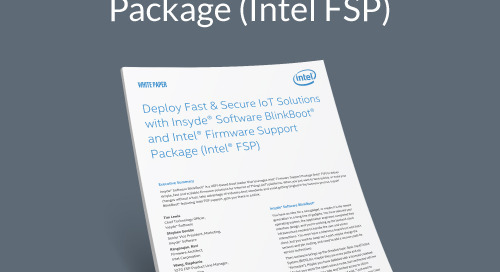 Fortunately, the Intel Quark microcontroller D2000 features bootloader security that enables secure software update authentication. Protecting patient information is another critical feature, which is addressed by on-chip non-volatile memory with read/write access controls that prevent patient information access at the device level. Medical devices that travel with the user are presenting new demands on medical equipment. Not only do these products need to meet basic safety and reliability requirements, they must be user-friendly. While there is certainly more to this challenge than squeezing the device into a small form factor, a sleek design is always better than a cumbersome one.